The clue's in the name here, as Masterworks Music serve up another set of 21st Century makeovers of dancefoor delights from days gone by. Diana Ross's 'My Old Piano' gets reinvented as a rather classy disco-houser on opener 'Tinkling The Ivories', while getting similar treatment elsewhere are Maze's 'Running Away', Invisible Man's Band's 'All Night Thing', Donna Summer's 'Spring Affair' and more. Long throughout on sweeping strings, handclaps, fat funk basslines and soulful vocals, the whole EP is a must for contemporary disco floors, especially as the source/track selection isn't over-obvious. 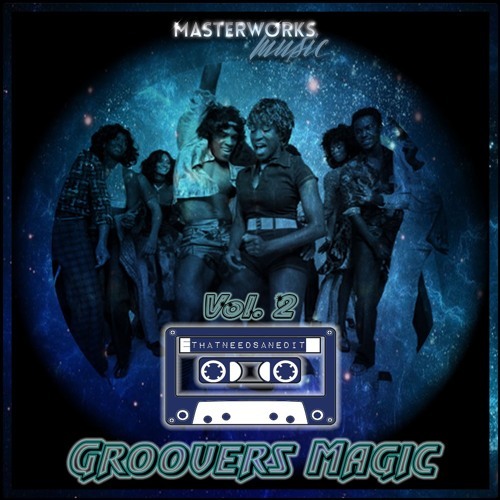 Buy That Needs An Edit - Groovers Magic Vol. 2 - Out Now Traxsource Exclusive!!! Users who like That Needs An Edit - Groovers Magic Vol. 2 - Out Now Traxsource Exclusive!!! Users who reposted That Needs An Edit - Groovers Magic Vol. 2 - Out Now Traxsource Exclusive!! !